The blue whale challenge, a dangerous social media game, has been causing fears among parents recently. This “game” has been allegedly responsible for at least 130 suicide incidents in Russia. Most of the game’s victims were found to be teens, ages 13 to 15 years old. It’s important to note the “Blue Whale” game is not an app. Instead, it’s a challenge that takes place inside a social media group managed by an administrator. 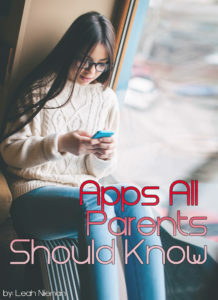 I did a discussion in our Tech Talk for Parents Facebook group on Friday, May 5 and Monday, May 8. Here are some quick facts on the blue whale challenge. And, some practical steps you can take to open up discussions with your kids about this and other dangerous social media games. The 11th challenge is typically the day participants cut a whale on their arms and legs and send the photo to the curator of the game. It might be hard for parents to understand the attraction a game such as Blue Whale would be for our kids. But, it’s important to discuss these games with our kids. If you are having thoughts of self-harm or suicide, please contact the National Suicide Prevention Lifeline at 1-800-273-8255, text “connect” to the Crisis Text Line at 741741, or tell someone you trust who can get you help. As of July 12th there appear to be 2 U.S teen suicides believed to be part of the blue whale challenge. Parents, please check your child’s messages and social media accounts. As of Friday, May 11, 2017 it appears that one of the men behind the so-called blue whale challenge, Philipp Budeikin, has pleaded guilty to inciting teenagers to suicide.